If you are looking for the perfect pair for any occasion then Superbalist.com is the the answer. I can’t tell you the amount of hours of my life I’ve spent on the site just drooling over their shoes (and clothes of course). Now you can probably already tell by now that when it comes to outfits and putting looks together simplicity is my go-to. 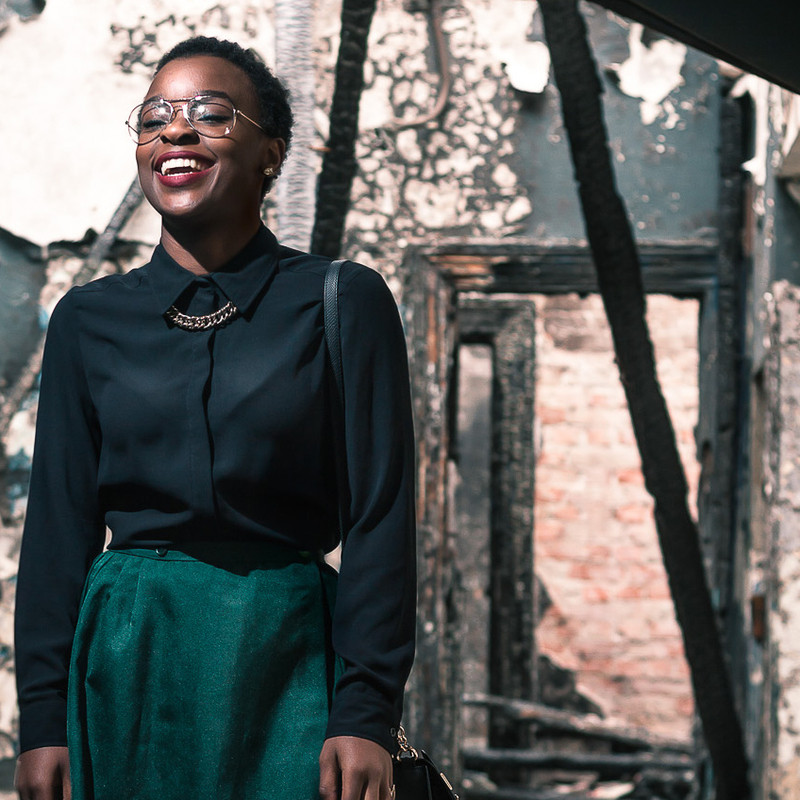 Another thing you may have also noticed is my – nearly obsessive – love for all things black! But I have decided to switch things up lately (clothing wise that is, I will forever be a HUGE fan of black shoes). Excuse the dog, she INSISTED on being in absolutely every shot. 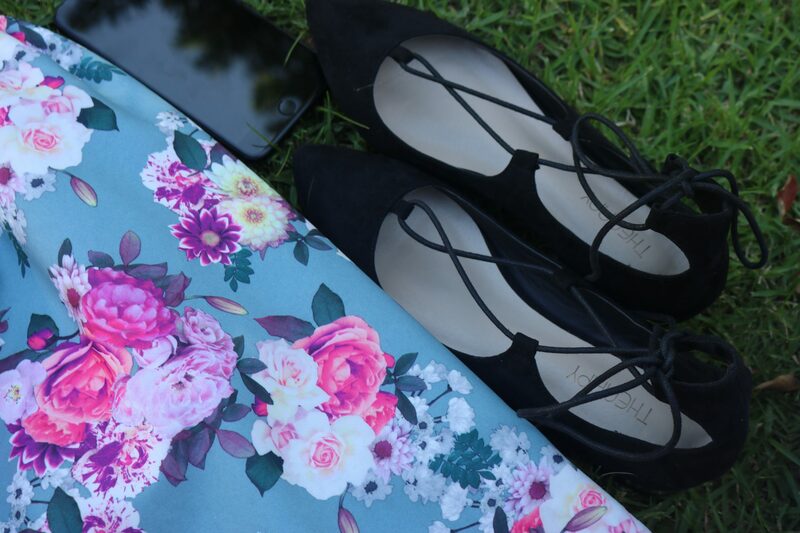 I decided to put together a simple and cute day-out-with-the-girls look using this floral dress from MRP and the most adorable and cute looking lace-up pointy pumps I have ever seen in my life. 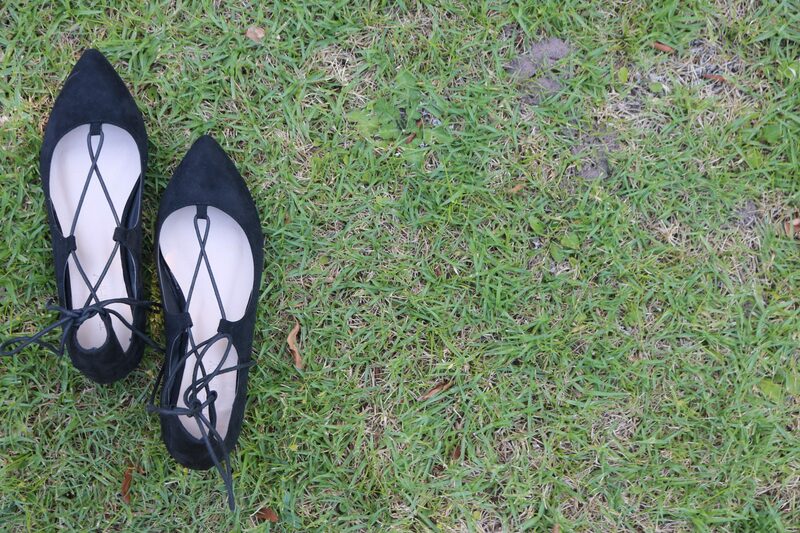 There is nothing classier that a pointy pump, and there is nothing trending harder than lace-up shoes right now. They are a guaranteed win! I wanted to keep everything else about this outfit extremely simple so I opted for gold detailed black studs and my can’t-leave-the-house-without-it essential; my phone. The gold detailed studs were inspired by the gold on the heel of the shoe and on the end of the laces. 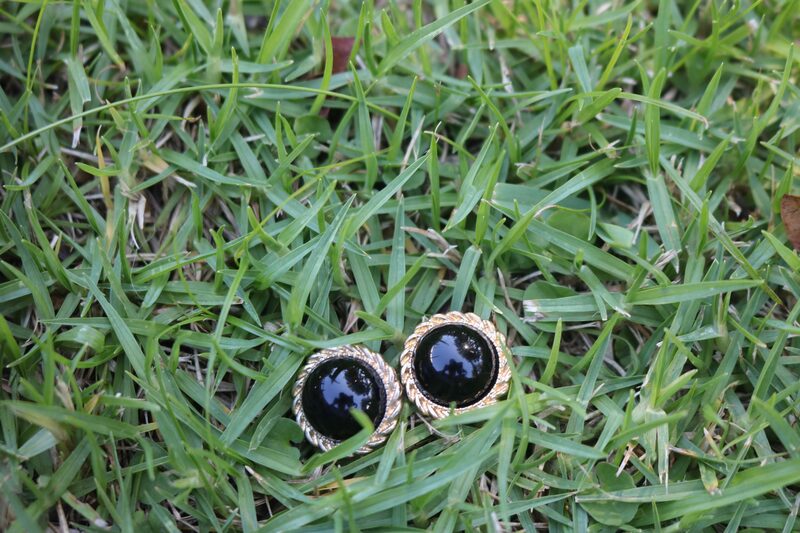 Black and gold, who doesn’t love that combination? I got these too-cute-for-actual-life pumps from Superbalist.com (Therapy) and they are one of the most comfortable and sturdy shoes I have ever put on. I like the fact that the lace is not “up to your knees length” which makes them wearable with just about everything. You can pair them with a floral dress like I did for a simple day time look or you can pair with a pair of jeans or tapered pants for a chic and well put together office look. 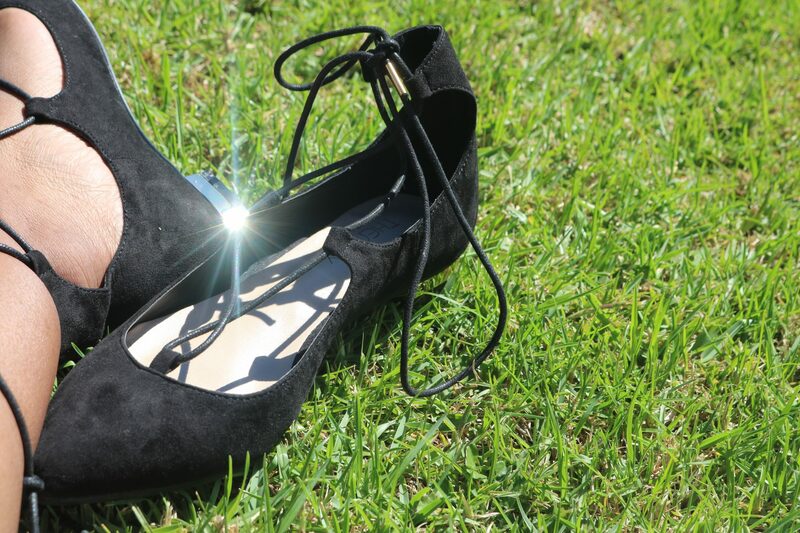 The pointy shape gives this shoe the ability to turn any outfit instantly feminine and classy. Superbalist has one of the widest collection of, well, everything I have ever seen in my life. But if shoes are what you are looking for then head on over to their website here. You are guaranteed to FIND YOUR PERFECT PAIR honey! 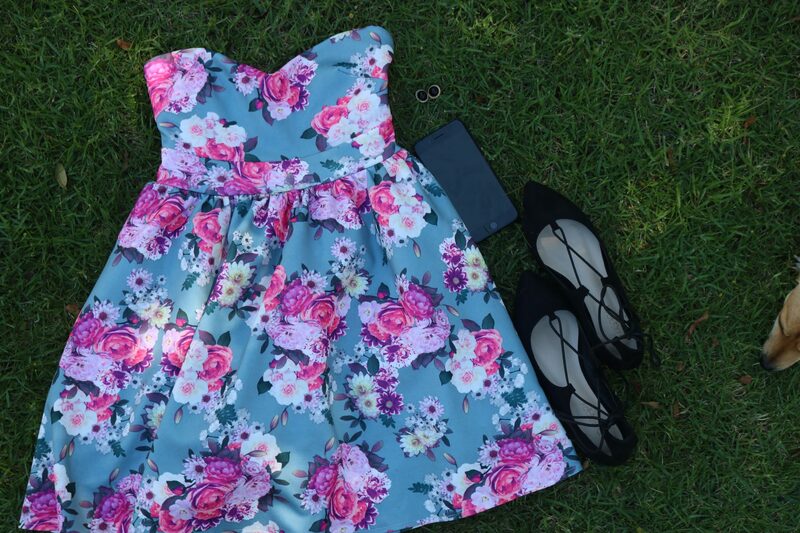 The floral print of your dress is so cute! The pumps metallic heel is also a nice touch.